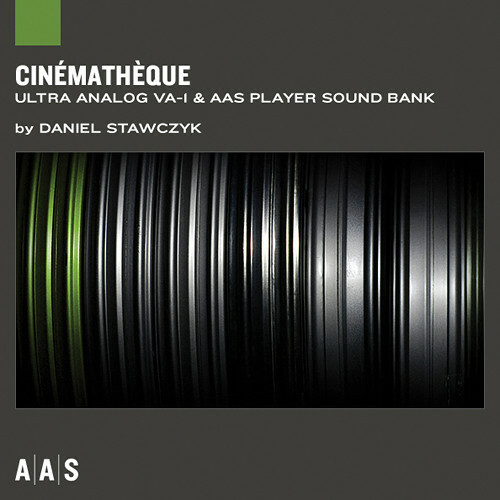 The Cinematheque Sound Bank from Applied Acoustics Systems is a library of pads and textures geared toward music composition and sound design for cinema. The collection runs on the included AAS Player, which is compatible with Mac and Windows and will run within your VST, AU or RTAS compatible host. The Cinematheque sound library is broken into five categories: Cluster, Rhythm, SFX, Synthesizer, and Texture. There are 142 presets that are designed to accommodate a wide spectrum of moods for horror, suspense, drama and other styles of cinema. The library can also be used with the Ultra Analog VA-1 synthesizer plug-in (sold separately).